Whether you are a provider searching for a physician recruiter to assist you in finding the perfect opportunity or a healthcare facility interested in the highest quality staffing services available you have come to the right place. For over 30 years The Toberson Group has worked with physicians and clients throughout the country. TTG Locum Tenens was formed in 1995 allowing us to offer our clients the same quality services in filling their locum tenens needs. Nurse Practitioners and physician assistants use our services to locate their ideal opportunities with our large national healthcare employer data base. The Toberson Group has been a leader in physician recruiting for over four decades. Our experienced physician recruiters strive to find the right candidate and the right practice opportunity at the right time. 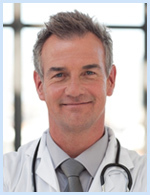 Recruiting the right physician requires considerable knowledge and resources. Our experience allows us to assist many clients in the recruiting and retention of qualified physicians, nurse practitioners and physician assistants for their practice. Hospitals, medical groups and individual physician practices have relied on our expertise to deliver extraordinary physician recruiting services. When completing your training or if it is time to make a practice change, our physician recruiters will guide you through the process of selecting the perfect practice opportunity. We have developed an extensive database of clients and are able to assist physicians, NPs and PAs in identifying the best practice opportunities that meet their specific criteria. The Toberson Group is here to help you - let our team of physician recruiters work for you. TTG Locum Tenens, Inc. became a partner to The Toberson Group in 1995. The two companies continue to have a strong commitment to offering unparalleled comprehensive physician and advanced practice locum tenens services. TTG provides highly qualified medical providers including physicians, nurse practitioners and physician assistants to cover locums tenens staffing assignments in all specialties throughout the country. Our core and strength are in primary care services in the St. Louis region. Residents who are looking for practical experience, semi-retired and retired physicians who want to maintain their clinical skills, providers looking for locum tenens assignments regularly and those who occasionally moonlight are offered excellent personal services, above market compensation, paid professional liability insurance, and the opportunity to provide their services in a variety of practice settings. 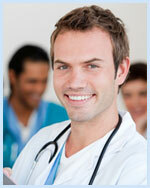 We provide extremely valuable locum tenens services to our clients and our providers. Let us help you with your locum tenens staffing needs.